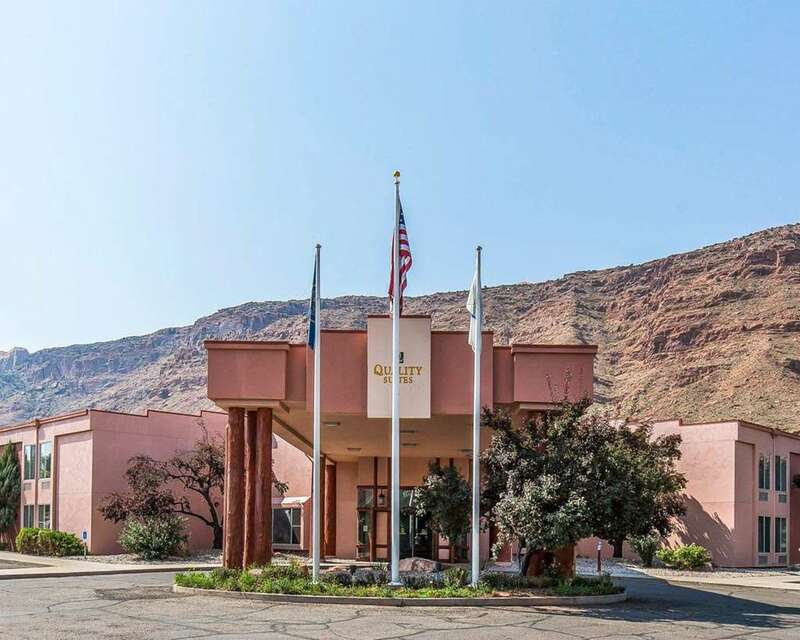 The Quality Suites hotel in Moab, UT gives you real value with peace of mind. Enjoy stunning red rock landscapes when you stay at our smoke-free, pet-friendly hotel near Arches National Park, Moab South Rim, Moab Desert Adventures, Slickrock Bike Trail, Arches Vineyard and Moab Golf Club. Our relaxing amenities include free breakfast, free WiFi, free weekday newspaper, an indoor heated pool and a hot tub, fitness center and meeting room with copy and fax services. Each inviting guest room features a refrigerator and TV. Select rooms include microwaves. Also, earn rewards including free nights and gift cards with our Choice Privileges Rewards program.